Two posts within two days of each other! I don't think I did as good a job with this one, but the lyrics were marginally more difficult to make sense of than the previous one. 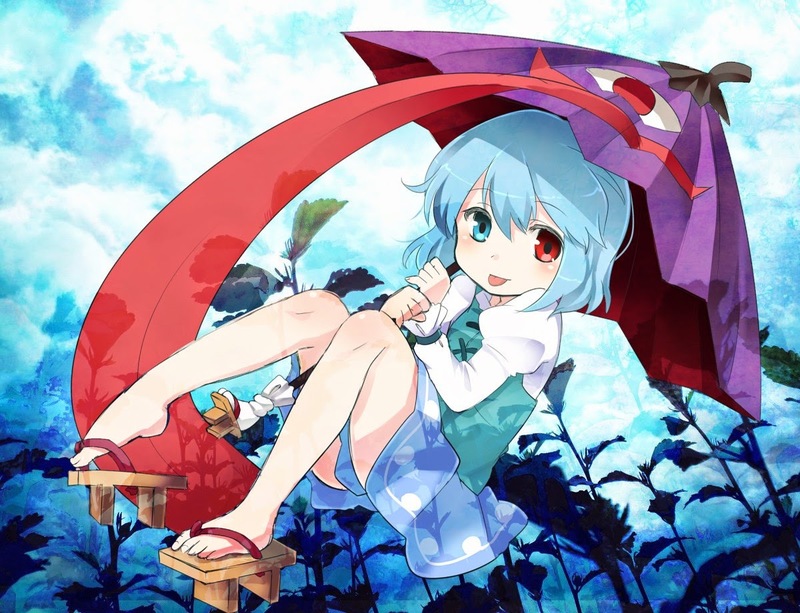 The thing about the umbrella seems to be about Kogasa Tatara, who is apparently an umbrella, and whose theme this track is a rearrange of. The picture is posted by InouePhantomive on Zerochan.